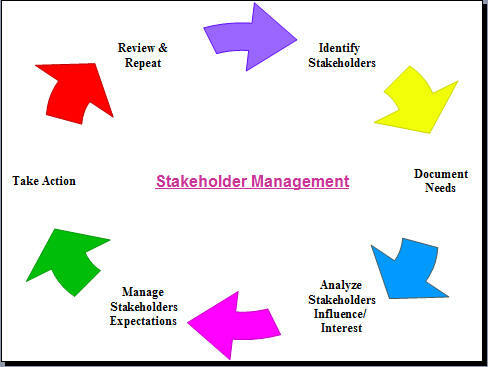 After review of definition of stakeholders and roles & responsibilities of few stakeholders like Project manager & Sponsor, it is good to deal in detail on Stakeholder Management & Analysis. Project stakeholders are individuals and organizations that are actively involved in the project, or whose interests may be affected as a result of project execution or project completion. Stakeholders are all those who need to be considered in achieving project goals and whose participation and support are crucial to its success. So identification of all stakeholders is an important activity of the project manager to ensure project success. Stakeholder Analysis is an important technique for stakeholder identification & analyzing their needs. It is used to identify all key (primary and secondary) stakeholders who have a vested interest in the issues with which the project is concerned. The aim of stakeholder analysis process is to develop a strategic view of the human and institutional landscape, and the relationships between the different stakeholders and the issues they care about most. What are the benefits of Stakeholder Analysis? Engaging stakeholders throughout the project life cycle is a key to (but not a guarantee of) project’s success. Let us review – what are the essential steps for stakeholder analysis, stakeholder assessment models, when to use stakeholder analysis in the Part 2 of this topic. And What is Stakeholder Analysis – Part 3 discusses about the three essential steps in stakeholder analysis in detail. 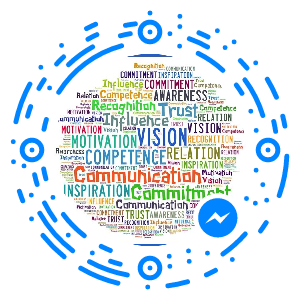 This entry was posted in Communications Management, HR Management, Project Management, Stakeholder Management and tagged Communications Management, HR Management, management, Project Communications, Project Management, Stakeholder, Stakeholder Analysis, Stakeholder Management. Bookmark the permalink. I am very much happy for that! Thanks for informing me. how to do a stakeholder analysis for international marketing. Hi Primal, I don’t think I can answer your question as I don’t have much experience in marketing. then, of what use is this analysis to the project manager?? and which skills does a project manager needs to deal effectively with negative stakeholders?? I hope I addressed as much information as possible in Part 2 & 3 which is useful for every project manager what they can utilize from Stakeholder analysis output. Project manager need to tackle & minimize negative impact of stakeholders through stakeholder communication process and/or risk management process. This is an excellent project management article. I am very interested in re-publishing your project management material on PM Hut. In case you’re OK with it, then please email me or use the “Contact” form on PM Hut and we’ll take it from there!